Chris Lomheim began playing music at age seven, studying organ until his teens where he switched from organ to piano studying with legendary Minneapolis instructor Herb Wigley. In his later teens Chris studied with mentor Brazilian pianist / composer Manfredo Fest. At age seventeen Chris was selected by the Twin Cities Jazz Society as an up and coming artist and was awarded a citation from the National Association of Jazz Educators for exemplary achievements in jazz performance. As part of the selection Chris was interviewed by legendary jazz radio host Leigh Kamman on his radio show The Jazz Image on Minnesota Public Radio. In 1991 Chris won the West Bank School of Music composers forum which featured his quartet, playing all original compositions in a live performance at Augsburg College in Minneapolis . The performance was video recorded and aired on Minneapolis Public Television. Chris is a member of the Twin Cities based all original jazz group The Illicit Sextet which has produced 2 CD's Chapter One (1993) and Chapter 11 (2013) The group was named Best Jazz Instrumental Group in the Minnesota Music Awards in 1993. 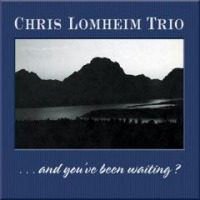 As leader of the Chris Lomheim Trio he has produced 3 CD's And You've Been Waiting? (1994) featuring all original compositions. The Bridge (2002) featuring a mix of originals and a handful of standards. 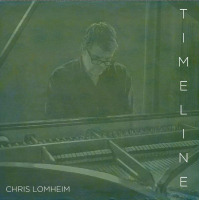 Timeline (2014) featuring all original compositions. Chris was nominated best pianist in the 1997 Minnesota Music Awards. Chris has played The Green Mill jazz club in Chicago in 1996 where he headlined in a quartet featuring trumpet player Rex Richardson. He is a regular at Twin Cities jazz venues including The Artists' Quarter, Jazz Central, Ice House and The Dakota Jazz Club, Jazz Central and is featured at the Twin Cities Jazz Festival every year. 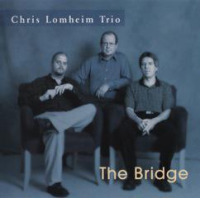 Performance & Recording Associations Chris Lomheim's focused professional music career has allowed him to perform and/or record with some of today's most recognized jazz artists. All About Jazz musician pages are maintained by musicians, publicists and trusted members like you. Interested? 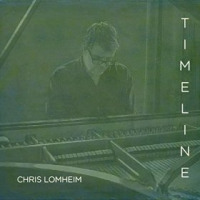 Tell us why you would like to improve the Chris Lomheim musician page.